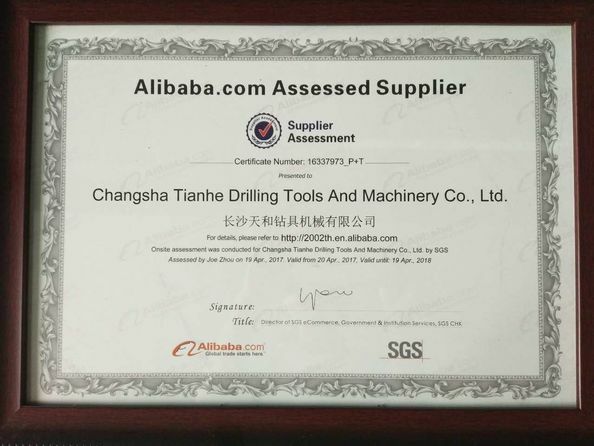 Changsha Tianhe Drilling Tools and Machinery Co., Ltd., is a professional geotechnical drilling tools manufacturer since 2002. 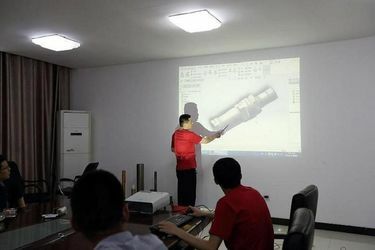 We’re located in Jinzhou New District,Ningxiang County, Changsha,Hunan province.Our main products include DTH (down-the-hole) hammers and bits with capacity of drilling holes from 64mm--1020mm in diameter, DTH drilling tools with large diameter for deep hole drilling, eccentric casing system (ODEX) and concentric casing system, reserve circulation hammers and bits, drilling rig, rock drilling accessories and other relative equipment. They are widely used in mining,water well and geothermal drilling, anchoring, foundation and infrastructure, piling,tunneling and other construction and geotechnical engineering. 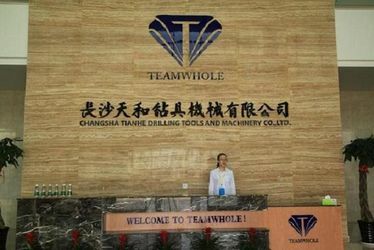 They are exported to Sweden,Swiss,Finland,Italy, France, Germany, Australia,South Korea,South Africa,Chile, Brazi and other 30 countries.Teamwhole is proved to be the right choice by more than 1000 customers all over the world. Our registered capital is 6.5 million USD, and monthly capacity is about 1000 sets of hammers. 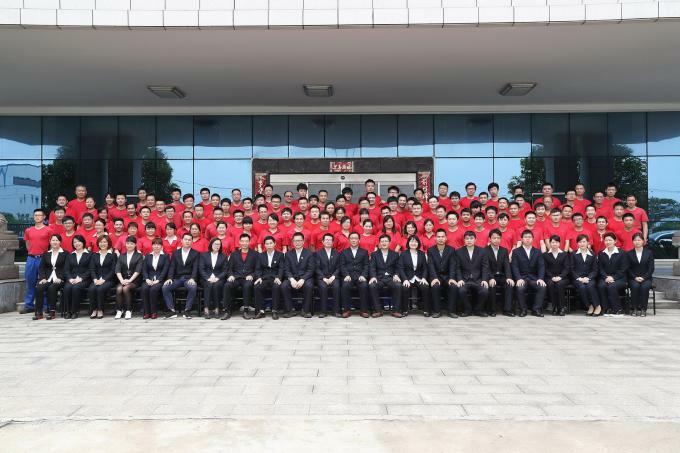 We have about 300 employees,among them there are 80 specialized technicians,30 of them have over 20 years working experiences in DTH drilling tools research and development. 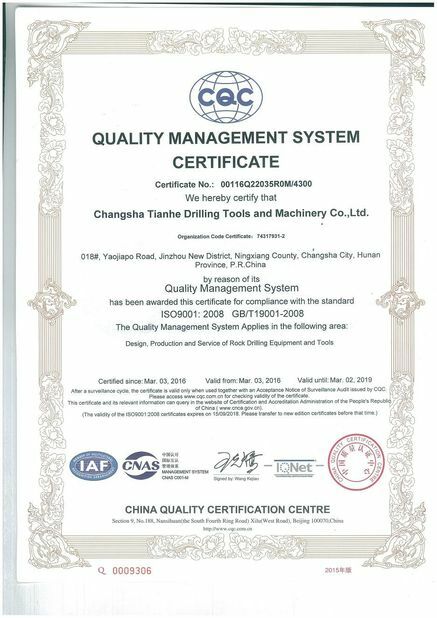 We have the ISO9001:2008 certificate,over 30 technical patents, and 3 registered trademarks.We’re a council unit of China Drilling Steel and Drilling Tools Association,the director unit of China Heat Treatment Association, the well-known trademark enterprise of Hunan Province, the high-tech enterprise of Hunan Province, the geotechnical drilling equipment engineering of Changsha City Technology research center and enterprise technology center. The company always guide themselves with the service concept "focus on users' requirements and meet to customers" needs " , flexibly apply the unique technology, strictly comply with the standards of ISO9001 quality system, professionally commit to research, development and application, and sincerely produce the rock drilling tools with most specifications, easy operation, reliable quality and good prices for all the global users. 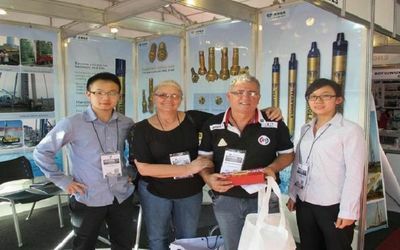 With strong technical strength, we are making efforts to creat the best brand of Chinese drilling tools, and to be the top manufacturer in the world. 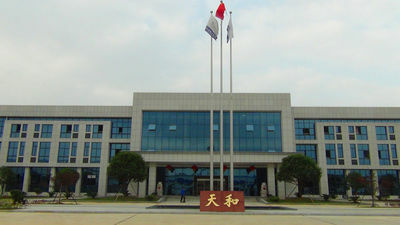 2002--- Teamwhole was founded in Hanpu Scientific and Education Park. 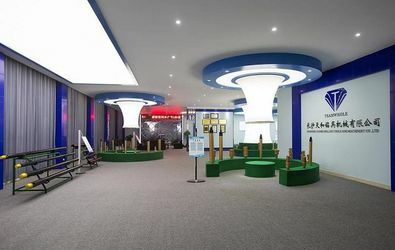 2012--- From Hanpu Scientific and Education Park move to more modernization workshop in Jinzhou New District. 2013--- 10th anniversary celebration of Teamwhole,we’re turning the page and moving forward with strength and confidence. 2015--- TSK-“TEMPO STORM” Series hammer and bit was published. 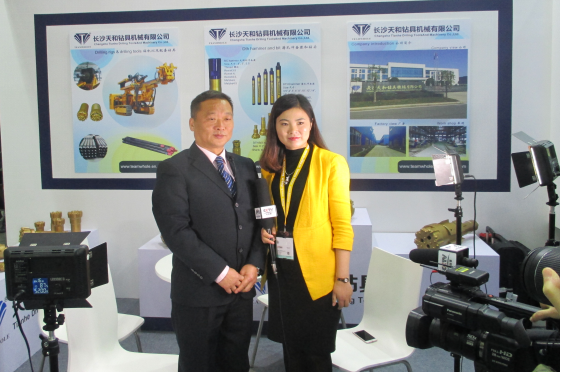 2016--- Wang Xiangzhou(General manager of Teamwhole) was interviewed on the BMW show by CCTV. The shale gas exploring project of our company was interviewed and reported by Hunan TV Station. the Gypsum mine collapsed in January 2016. Concentric system for casing 1020mm was applied in Russia. We’re the only one manufacturer who can produce the size above 1000mm. Wang Xiangzhou(General manager of Teamwhole) was being interviewed on the BMW show by CCTV. 1. Teamwhole offers the market most comprehensive range of DTH hammers. There are hammer solutions for water well drillers, miners and quarry drillers as well as for contractors in construction, oil and gas.Teamwhole's DTH hammers are available in holes sizes from 3.5 to 48 inches in diameter. 2. Teamwhole's flexible and stable ODEX system wins great reputation in users.Reliable quality,innovative design and professional service ensure the fulfill of many projects. 3. We even offer reverse circulating RC hammers for exploration. We are the earliest in China for RC since 2004. Now the RC hammer and bits are delivered to Australia,South Africa,Russia and Mongolia in large scales. 1. We strictly select the material to ensure the reliable quality. Bad steel and tungsten carbide inserts won't be used. 2. 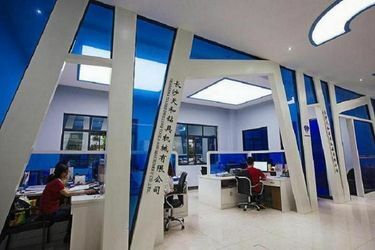 Not only in the selection of material, but also in every production procedures, we strictly act according to the ISO9001 standard, and control by full-scale inspection. 1. The tools work under working pressure of 2.0 MPa or 290 PSI. 2. The diameter of bits are not out of normal standard. In the early stage, any breakage at outer cylinder, piston, chuck sleeve of the hammer. Any breakage at the bit shank during half service life span. 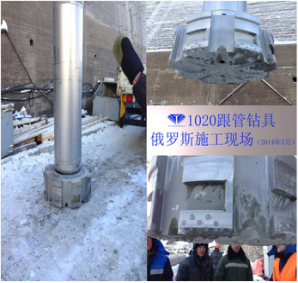 Drilling in very hard rock, the breakage of tungsten carbide inserts is less than 1/7, but there are more than 2 inserts falling out or breaking in the hole. Any breakage at the shank during half service life. 1) For hammers: Not so good working performance because of some light wearage in the main impact parts. 2) For bits: Two inserts fully falling out from the holes during half service life. 3) Any improvements the customers need. 1) All the products which are in the expired service life. 2) Using our bits in bulk, the first two or three bits have abnormal wearage, the using should be stopped, and feedback should be given to our company. Otherwise, the company won't be responsible for any loss of the customer. 1) For hammers: The abnormal wearage whose causes can't be found out. 2) For bits: The breakage in the shank or inserts when using in limestone, weathered rock, and other unnamed soft rocks. 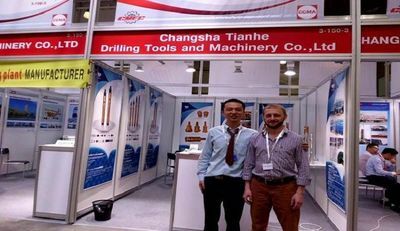 Changsha Tianhe Drilling Tools and Machinery Co., Ltd. is a new high-tech enterprise specializing in researching, developing and manufacturing of rock and soil drilling tools since 2002. 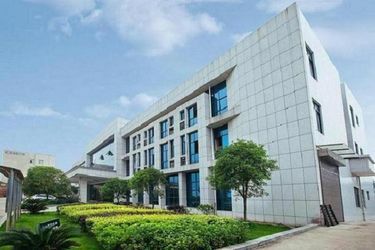 Located in the Jinzhou New District, Ningxiang County, Changsha city, we are covering an area of over 60,000 square meters, with more than 300 employees. Among them there are 30 senior specialists and 80 specialized technicians. Their feilds are involved in Mining, Safety Engineering, Metal Materials & Heat treatment, Mechanical and Process, Electra-mechanics, Aerodynamics and etc. Some well-known professors and specialists with the State Council Special Allowance are also recruited. 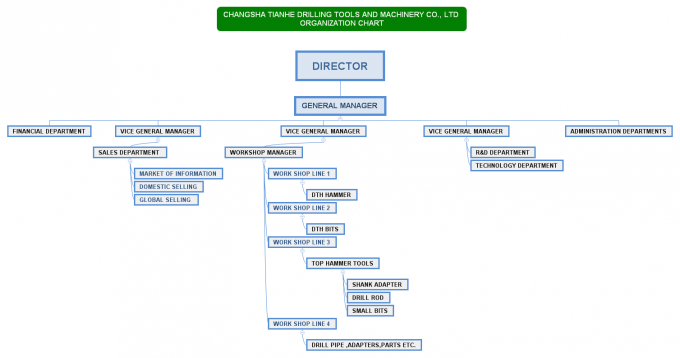 They have rich experience in mining technology and equipment R&D management. We are one of the largest manufacturers with the most complete product lines of rock drilling tools.